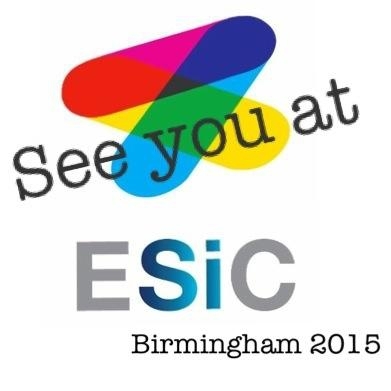 I’m really excited that next week I will be attending this congress in Birmingham. I really hope some of you will be there for me to meet you. I am blessed that I have had lots of support in being able to get there in person. From help with the kids, house and business, to encouragement, support and financial assistance from the people I work and volunteer for. I just wanted to let you know that if you cant actually attend for whatever reason that there is a way that you can still participate and hear the speakers. I don’t normally share this stuff or advertise on behalf of others but I know that this is something that I would want to know about, and thats why I am sharing it here in my personal space. I am especially excited that it is totally affordable and so accessible to way more people. So for only £29.99 you can register online and view the keynote speeches and presentations from the Great Hall taking place on Friday and Saturday’s Scientific Programme via the live webcast (more information below). This is awesome, because you can do this from anywhere in the whole world, without having to travel, or find child care or get loads of time off work. I am sharing this because I am passionate about SI, and I want as many people as possible to be able to have access to the information we have had. We are really excited to let you know that the keynote speeches and presentations in the Great Hall at ESIC 2015, taking place on 11 and 12 September, will be streamed live for the two days. This fantastic addition to the Congress gives all our colleagues across the globe the opportunity to be a part of ESIC from the comfort of their own chair. Keynote speeches include experts Dr. Zoe Mailloux, Prof Roseann Schaaf, Dr Diane Parham, Dr Tina Champagne, Professor Batya Engel-Yeger, Dr Susanne Smith Roley and Éadaoin Bhreathnach. For just £29.99 you can register online and view the keynote speeches and presentations from the Great Hall taking place on Friday and Saturday’s Scientific Programme via the live webcast. As part of your experience you will have online access to all the presentations and posters being exhibited over the duration of the two days. As a member of our virtual audience, you will also have access to our delegate only social media, ESIC2015 group via Facebook. The social media team will be on hand, so that some questions from our virtual audiences can be included in any questions posed to the speakers. Register your place now using the “Add to Bag” button above and be a part of Sensory Integration of the future. We hope you can join us! 09:35 – 10:05 The Power of Vision (and ALL the senses! ): Looking Toward the Future for Ayres Sensory Integration. 10:10 – 10:40 Evidence for Ayres Sensory Integration. 11:45 – 12:15 Sensory processing and performance of adults in the workplace. 12:20 – 12:40 Participation challenges in Children with ASD and Somatodyspraxia. 12:45 – 13:15 Proprioceptive Processing Patterns in Children with Autism and their contribution to Praxis and Participation-Preliminary results. 14:00 – 14:30 Ayres Sensory Integration and the experiences of a child with cochlear implants and sensory over-responsiveness. 14:35 – 15:05 Integrating Ayres Sensory Integration and DIRFloortime in the intervention with children with autism spectrum disorders. 15:10 – 15:35 Applying Ayres Sensory Integration in Psychology. 16:15 – 16:45 The ASI 2020 Vision & Mental Health Applications. 09:00 – 9:30 Sensory Processing Disorders– The Bridge between Underlying Neurophysiological Mechanisms and Daily Life. 09:35 – 10:05 The Meaning and Implication of Sensory Experiences for Participation: The Voice of People with Autism Spectrum Disorders. 10:10 – 10:40 A Vision for Assessment in Ayres Sensory Integration. 11:45 – 12:15 The effectiveness of various strategies based on Ayres SI model in intervention to children with SI Disorders. 12:20 – 13:10 Community Occupational Therapy for Learning Disabilities, the process of providing Ayres Sensory Integration Therapy and approaches to this population. 14:15 – 15:00 “Is it Sensory or is it Attachment?” A case report of Ayres Sensory Integration Intervention with an adult male with Asperger’s Syndrome. 15:00 – 15:45 Evidence for the effectiveness of occupational therapy using Ayres’ Sensory Integration approach as confirmed through the ASI Fidelity Measure.